Designer Tinker Hatfield blended and mixed the colors and shapes from the midsole to the upper, producing a unique, fast, and aggressive look. The midsole was separated into front and back compartments to allow for a range of performance and material options. This shoe featured a first in the multi-lace port system, one of seven molded parts on the upper. 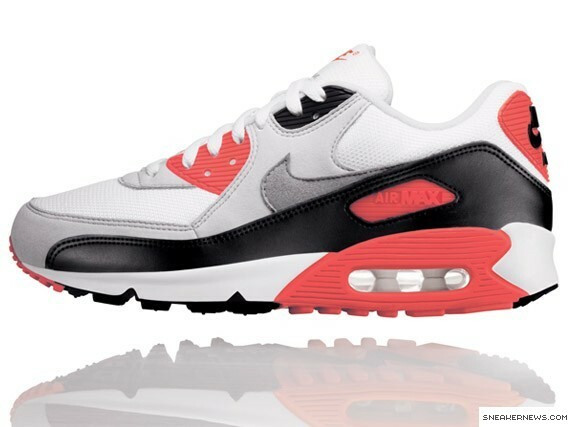 The Air Max 90 was originally know as the Air Max III, up until 2000 when it was retroed and renamed the Air Max 90 after the year it released.